There is an enclosed courtyard which is suitable for pets. The Unexpected is a superb beachfront house great for families and those travelling with their pets. The house can sleep eight people in four bedrooms and with the beach directly in front of the house, this accommodation is a fantastic option. The main bedroom has a double bed and a sea view. There is a second bedroom with two single beds and a third with a double bed. An additional 2 people can be accommodated on 2 single beds in the playroom, which also has a sea view. The house has a kitchen with a microwave, a stove and a fridge-freezer, and a dining room. The living room has a TV which is used for watching DVDs; guests are required to bring their own DVD player. The house has a double lock-up garage. There is an enclosed courtyard that is ideal for smaller children and pets. 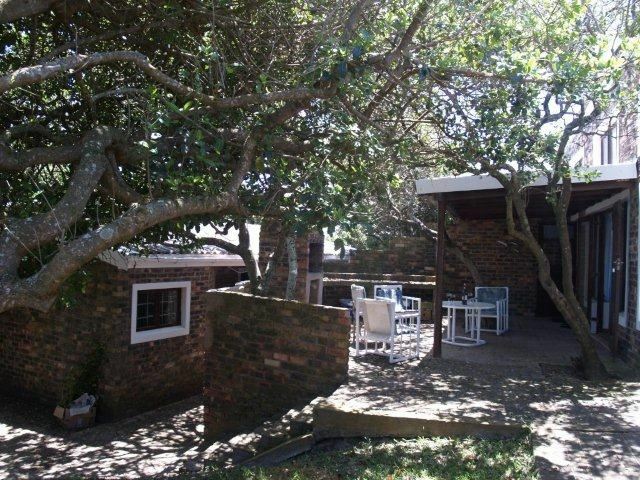 The courtyard has braai facilities. With the beach right in front of the house, it is the main attraction and superb for swimming, kite-surfing and fishing. The quiet village creates an undisturbed holiday. "Spectacular beachfront and ocean view"
"My family and I had a nice family breakaway at The Unexpected. The views and access to the beach is a definite positive. The house was comfortable, clean and things were ready for use on arrival with water already turned on. The house also provide a good base for when you want to explore the surrounding areas for day trips.I do however recommend that the unit be furnished with a usable television. We did bring a dvd player as it was indicated to us in advance, but it was unfortunately not compatible with the tv. So bit of a hick-up when you want to entertain children on a rainy day.Otherwise my family and I had a great time here at The Unexpected!" "A bad experience not to be repeated!!" "Perfect location but unfortunately dilapidated house in need of urgent upkeep. Facilities is shocking!Oven does not work - either maximum temp or off. Kettle did not work, no outside lights - light bulbs not working, bathrooms in a sad state and dirty, beds very uncomfortable, cutlery and crockery needs to be replaced - of terrible quality, cutlery is rusted, lack of security, no heating for the colder nights....This is an back packers venue and NOT a holiday home and should be marketed as such - misleading advertising ! Not an experience to remember. It is a real pity that this beautiful location is left in this dilapidated state and rented and charge for as a holiday home! NOT GOOD VALUE AT ALL!! Spoke to the owner - but little concern for the problems and placed the blame on the cleaners??? ?I will not recommend this property." "Fantastic location! Enjoyed our stay very much! (However, some maintenance eg. to windows and outside door is needed.)" "Stunning views of the sea with the beach right on the doorstep. Sat watching whales and dolphins from the veranda. Beautiful quiet location"
"The best part was waking up with a view of the sea"
"The place was perfect for a family holiday with our beloved dog." "A beach holiday is meant to be just that and The Unexpected offered just that.Down to the beach, no you are on the beach! We had a really lovely holiday at this comfortable house.The fact that our dogs could enjoy it with us at no compromise was wonderful.."
"It was an absolute pleasure from the moment we arrived. Everyone adored the place and we will without a doubt be returning. The view from the house is stunning and it was so nice to sit on the "stoep" and watch the waves. The kids enjoyed the sand dunes so much and couldnt wait to go slide down them.Thank you so much for giving us a home away from home. I would highly recommend The Unexpected." 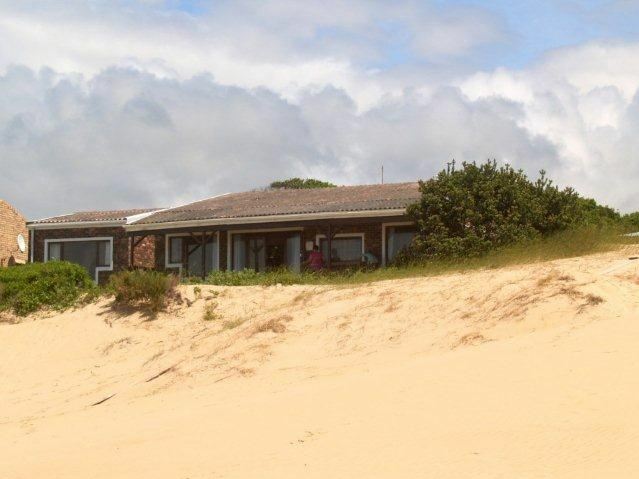 "Thank you for sharing your house with us.It has everything weneeded for a lovely beach holiday.We had a fantastic time at The Unexpected and Cannon Rocks. The view and sound of the sea are priceless."